You feel like you’re in a small European town at this Beverly Hills wedding venue. The wedding ceremony usually takes place under a canopied courtyard if there is inclement weather or harsh sun. After the wedding ceremony, the guests are often escorted to an elegant courtyard dining area for cocktails and really tasty hors-d’oeuvres and then the wedding reception. Officiant Guy has remarked that the staff at Il Cielo are consummate wedding professionals and know how to treat your wedding guests. 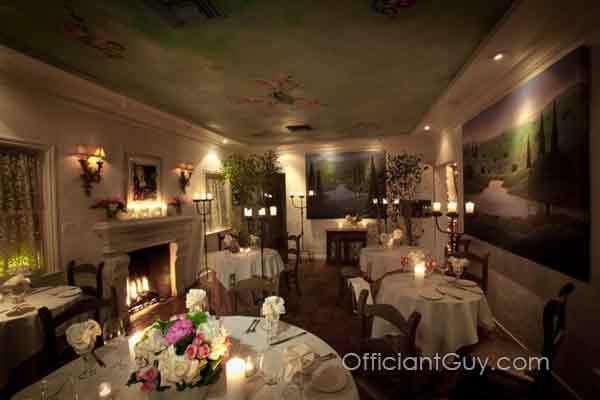 He has done many wedding ceremonies at this wedding location and is always happy to refer his brides and grooms to this Beverly Hills restaurant. 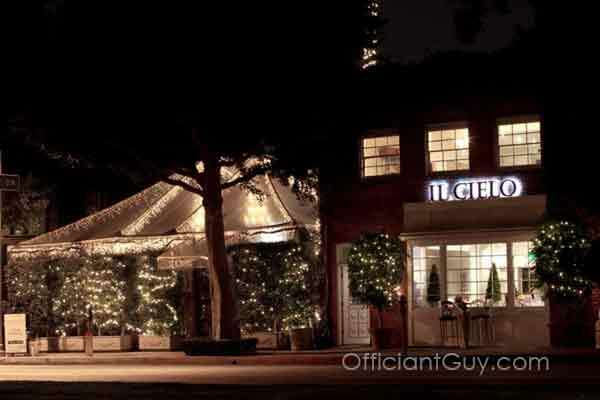 If you are thinking of having your wedding ceremony or reception at Il Cielo consider the Officiant Guy as your only choice for your nondenominational wedding. He travels all over Southern California for brides and grooms so that they can have the wedding of their dreams. Chris Robinson is the best non-denominational wedding officiant who can issue you a marriage license. 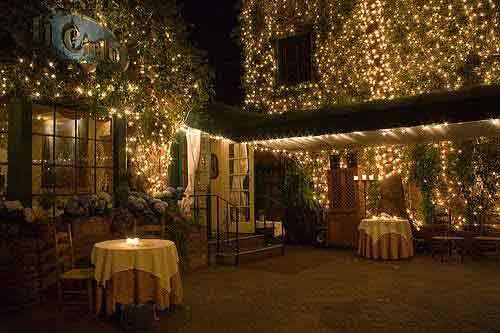 Rated one of the most romantic restaurants in Los Angeles and named one of the top 7 places to get married in Los Angeles. 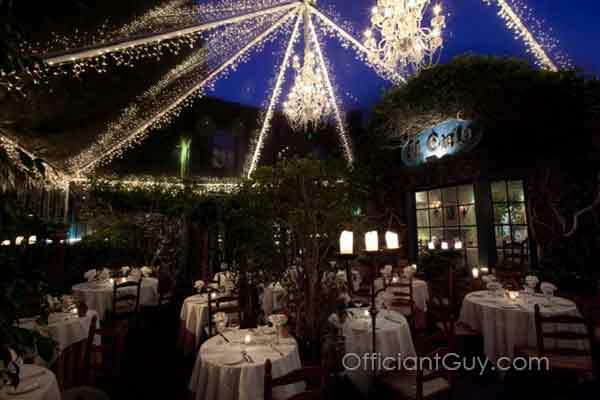 It’s garden weddings in Los Angeles have been host to over 1400 marriages in 20 years!! Imagine getting married under the stars in a beautiful European country villa. It’s sophistication, elegant atmosphere and amazing food have garnered the reputation as an ideal wedding and reception venue in Los Angeles. Go to ilcielo.com to see more. nondenominational wedding officiant a call now at (310) 882-5039 or (562) 547-3255.